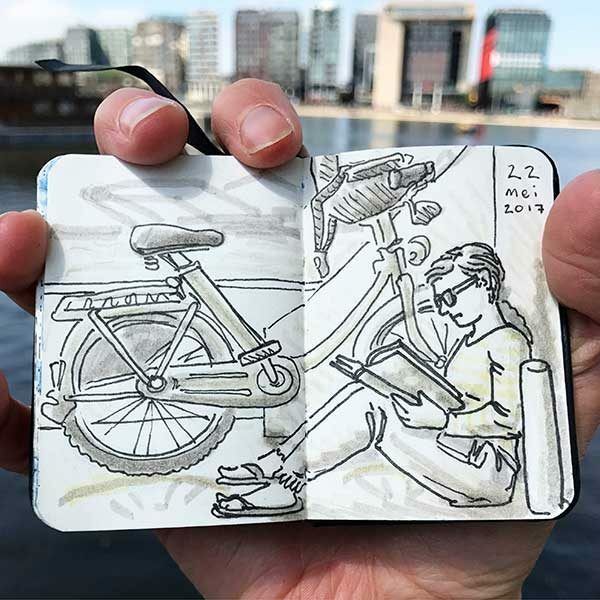 Since the beginning of 2017, I’ve taken a small sketchbook with me on the NDSM ferry, which travels from my home in Amsterdam Noord to the center, where I have my studio. 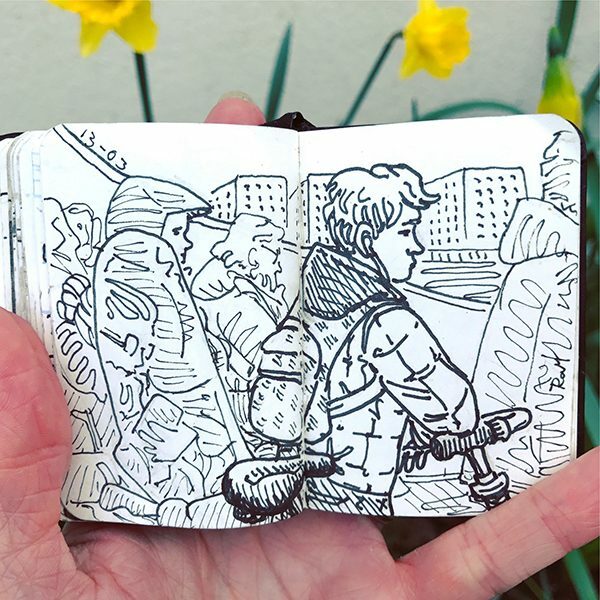 I made portraits of fellow commuters quickly in pencil during the 12 minute ride, then completed it with fineliners and occasionally with marker as a warm up in the mornings with a cup of coffee. 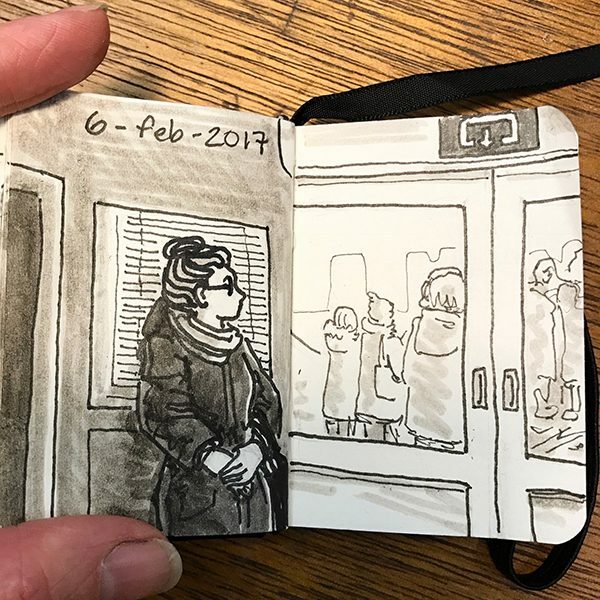 It became a series that I shared on Instagram called #facesontheferry. This has been such a precious and interesting record for me, we also made a short film of it for our creative collaborative, Therewise Enterprises. Rachelle Meyer was born in the state of Texas and spent most of her childhood with her nose in a book. Reading became the wellspring for her continuing passions in life: drawing, s… Show more. Send a message directly to Rachelle Meyer. “Thank you so much for not only sharing your wonderful art with us, but also using your talent for capturing TEDxAmsterdam! It was a genuine pleasure to work with you. Rachelle Meyer was born in the state of Texas and spent most of her childhood with her nose in a book. Reading became the wellspring for her continuing passions in life: drawing, storytelling and traveling. She graduated with a degree in Studio Art from the University of Texas at Austin and then spent eight years in New York City working as a graphic artist and designer. 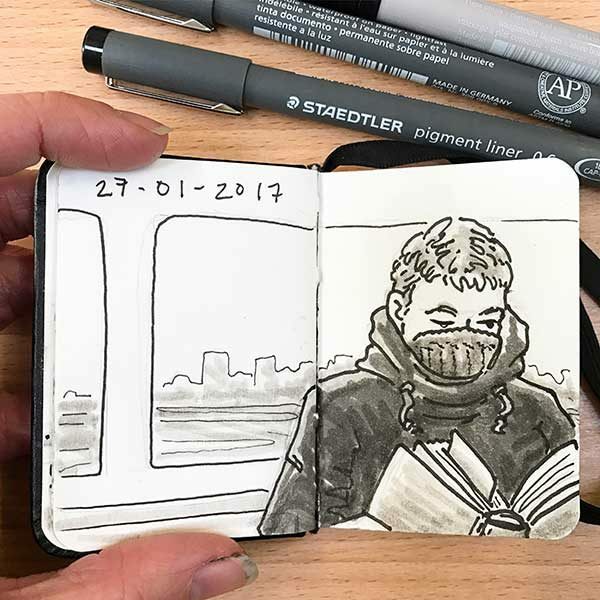 She has since moved to Europe and launched a successful career as an illustrator, specializing in children's books and editorial interpretations. Her talents have been used to interpret the work of best-selling authors such as Dave Eggers (A Heartbreaking Work of Staggering Genius), Audrey Niffenegger (The Time Traveler's Wife) and Nick Ortner (The Tapping Solution). She also writes and illustrates her own picture books and graphic novels. She now lives in Amsterdam with her English husband, her Dutch son, and their two wild bunnies. Awards: Kinderjury 2018 and Hotze de Roosprijs (nominated) for Dutch children's book, Het Raadsel van de Papegaaien [The Parrots' Mystery], Written by Renate Mamber, Published Vier Windstreken.